Availability and adequacy of mental health services for children and adolescents and their families, including services funded through the mental health system, Medicaid, the Children's Health Insurance Program, and other funding sources the Committee considers relevant. Community mental health services delivery structure, including evaluating the efficacy of continuation or expansion of the NorthStar managed care pilot and the role of local community MHMR centers as mental health authorities. Texas Department of Mental Health and Mental Retardation's allocation formulas for distributing mental health and mental retardation funds to local communities. Review, evaluate, and make recommendations to improve the effectiveness of the state's Temporary Assistance for Needy Families (TANF), Welfare-to-Work, Child Care, and related programs in moving families out of poverty to self-sufficiency, with special focus on expiration of the state's federal waiver in FY 2002. Monitor federal reauthorization activities on these programs. 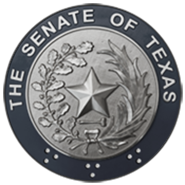 Review, evaluate, and make recommendations to improve Texas' Supplemental Security Income disability determination procedures. The Committee should compare Texas' denial rate with other states' rates, analyze any changes in Texas' rate, and examine the impact of Texas' system on Medicaid coverage for the uninsured.